Synergy Beading Wire .019 - 49 strand - 1000ft. 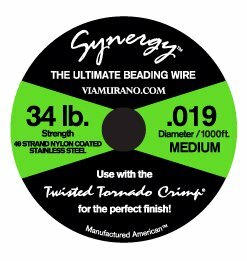 Synergy1000 - 1000 feet of beading wire excellence! You can earn 410 Club VM Points on this product!